Short business description: An engineering firm committed to the economic and technical performance of your projects. CAP INGELEC has the capacity, the credibility, the independence and the expertise to fully commit. It has the ambition and is organized to succeed. As an engineering firm offering global solutions it can guarantee results thanks to the talents of its teams, who engage in a solid partnership with their clients. Tailored to specific requirements, the commitment of Cap Ingelec can be seen through all the different modes of contractualization. A medium-sized company armed with 25 years’ experience and a solid technical expertise, Cap Ingelec acts in four principal areas: Construction – Industry – Energy – Datacenter. With the emphasis on a recognized culture of commitment, its mission is to deliver global engineering and production solutions adapted to the needs of its clients, guaranteeing them a single interlocutor in whom they can trust. Energy efficiency and other credentials: First French engineering firm approved by the European Commission for “Energy performance of Datacenters”. Cap Ingelec has acquired new expertise as an accredited Tier Designer collaborator by Uptime Institute. Short business description: Marchini Curran Associates have been working on Data Centre design since 2006, our experience in the sector has covered a number of different areas undertaking architectural, planning, coordination and lead consultant roles. 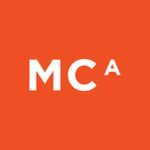 Acting as lead consultant on a number of projects MCA have the ability to draw together the entire team on behalf of our clients and act as contract administrators overseeing the construction. We offer architectural and administration services in addition to assembling the wider design team. Energy efficiency and other credentials: Marchini Curran Associates have led design teams building Data Centres that were assessed and certified for BREEAM, Secured by Design, CPNi, LPCB, BSi PAS68 and Uptime Institute Tier 4. Our experienced architectural team understand our client’s processes and the industry requirements. Marchini Curran Associates is an award-winning, RIBA chartered practice of highly committed architects and designers providing innovative architectural design solutions. Based in Nottingham, MCa works with local, national and international clients. MCA is a Chartered RIBA Practice with UKAS ISO 9001, 18001 and 14001 certification.